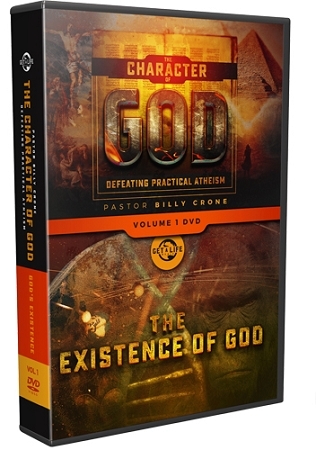 The question of, “Does God Really Exist?” is no small question. It has serious consequences to one's life both now and in the hereafter. That's because what you believe determines how you behave. If you don’t believe in God, you’ll act ungodly. Therefore, this study, The Existence of God shares the four classical arguments proving the existence of God. They include the Ontological Argument, the Teleological Argument, the Anthropological Argument, and the Cosmological Argument. If our society does not believe that there is a God, then why are we so shocked when they keep acting like it? We don’t need anymore secular solution to the ills of our society. What we need is the truth of God’s existence proclaimed across our great nation. People need to know that God alone is to be worshipped and that God alone will demand an account of every word and deed we have ever done. Why? Because God Really Does Exist!